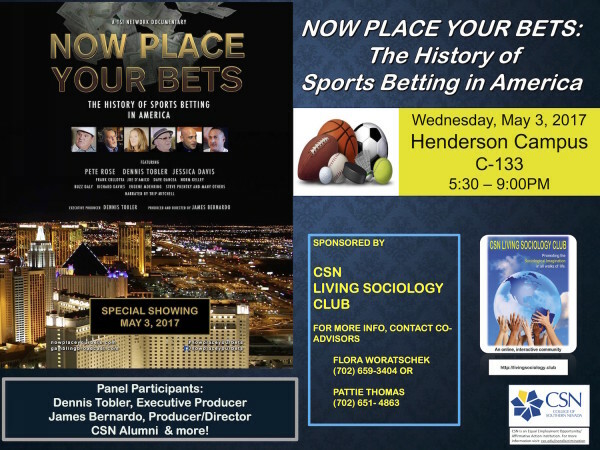 May 3rd (2017) Screening at CSN Henderson – The College of Southern Nevada-Henderson’s Living Sociology Club has graciously invited us to show our documentary before a school audience on Wednesday, May 3rd in the Henderson campus theater. The program is scheduled for 5:30-9 pm with a film screening followed by a panel discussion/Q&A. In the panel will be executive producer Dennis Tobler, producer/director James Bernardo, and cast members Frank Cullotta, Norm Kelley and Steve Prentky. CSN Professor Fred Conquest will moderate the discussion. We’re excited to have this opportunity to interact with the educational community, particularly the students and faculty in our hometown to hear their thoughts and impressions about the film and the issues it raises. Many thanks to Professors Fred Conquest, Pattie Thomas and Flora Woratschek of CSN for coordinating and promoting this event, a significant milestone for our documentary! Other distribution channels are being explored, including more theatrical runs and cable network distribution. 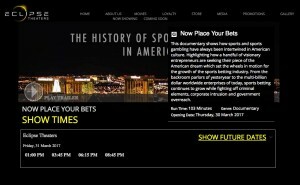 If you’re interested in showing the movie, please contact TSI Network, LLC at admin@gamblingbroadcast.com .